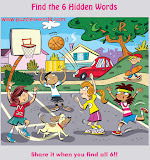 Find 6 Hidden words in the picture above and share your answers in comments. 1. A word of 5-letters on the chandelier. 2. A word of 4-letters on the Paint Bucket and its handle. 3. 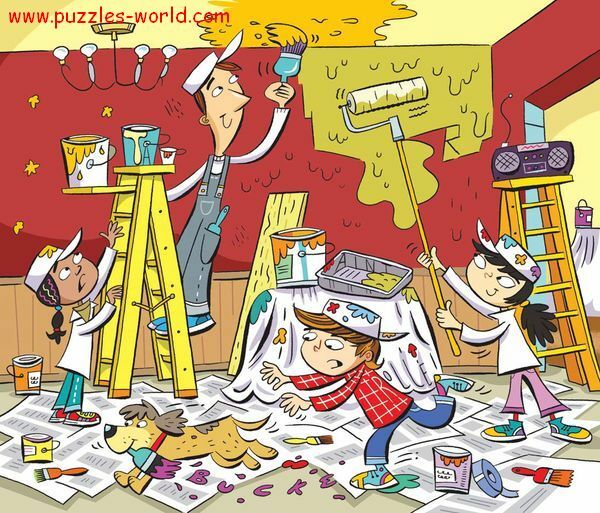 6-letter word as paint on the floor! 4. A word of 5-letters from bucket to paint tray. 5. This 6-letter word on the boy with red shirt. 6. This 5-letter word above the radio.